On the Avni Interviews Eric Bork and Mikey Taylor interview people doing the work they want in the lifestyle they love. How to close sales. **** In this episode of The AVNI Interviews, Eric Bork & Mikey Taylor go over how to close sales. Let's go. 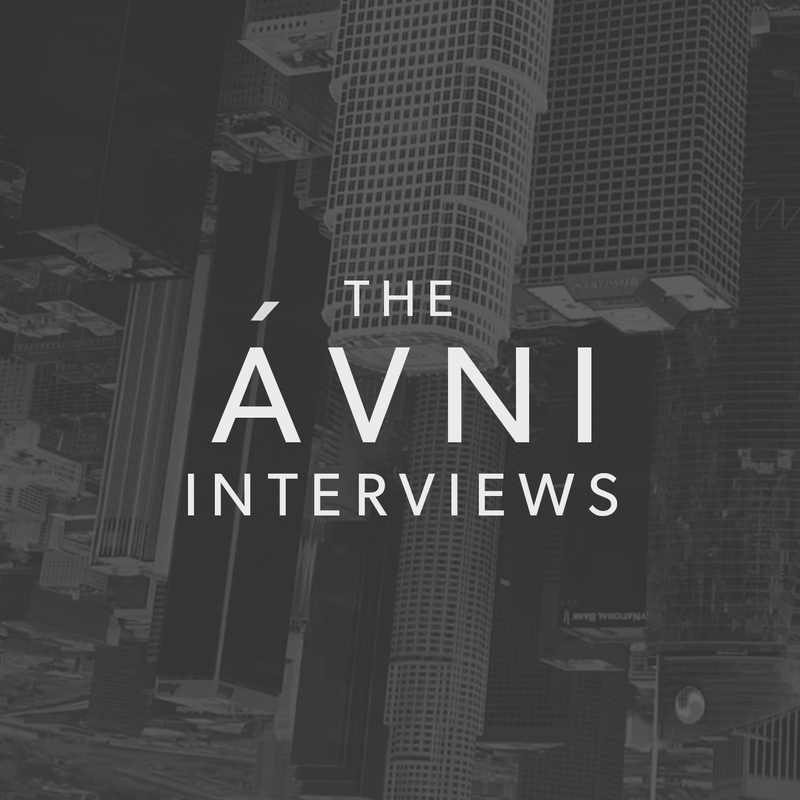 **** Here on the AVNI Interviews we interview people doing the work they want in the lifestyle they love to help other people do the same thing. Stuart Faught is the founder of Praze.com, a review software for local businesses to get reviews on Google and other popular review sites. Daniel Kasidi is the founder of Rastaclat, a brand who spreads positivity through their uniquely designed bracelets. Daniel originally turned his extra shoe laces into woven bracelets and almost 10 years later, he has turned these bracelets into a profitable business with no funding and 35 employees. We've learned a lot about being on camera in content and today we want to share. One technique is to ask a question and answer it, to the point, in 15-60 seconds. We posted a Q and A and we test ourselves in the podcast answering the questions that the audience asked on. In this episode Mikey Taylor & Eric Bork discuss creating a social media / digital content strategy for personal and product brands. Let's define each individual's version of the GOODxLife. in this episode we go over ours individually. Greg Harris is a former pro skateboarder who now brokers real estate deals for pros like Andrew Reynolds, Jim Greco, etc. DOWNLOAD PDF HERE: http://avnidigital.com/bestwaystomakemoney **** In this episode of the AVNI Interviews, we discuss some of the best ways to make money and how to do it such as digital products, syndicating real estate deals, etc. Steve Weatherford is a former NFL Super Bowl Champion, Entrepreneur and hell of a guy. Good times meeting with the Family man. Co-hosts Eric Bork & Mikey Taylor have a discussion about money in the skateboard industry including pro salaries and companies. Avnidigital.com/fbigadsprop/Vince Capaldi is the co-founder of Glassy Eyewear with his brother Mike Mo Capaldi. Vince built the product while his brother was finishing his pro-career as a skateboarder and now runs the co day to day with Mike Mo. Glassy recently expanded into Gaming and Prescription and the future is bright! Brandon Schram is the co-creator of Motivated.fit, and online fitness program that is taking the internet by storm. This week Mikey interviews me (Eric Bork). We talk about being a pro skateboarder, giving it up, working in corporate America and starting all over to co-found AVNI with Mikey. Hope you all enjoy. People at the top always have inside information they share with other people at the top. In this episode, we talk about some of those lessons from Mikey & launch our Masters Collective: Learn from the top Masters of their craft. Mike Mo Capaldi and his brother Vince came up with the idea to create Glassy Eyewear while they were skateboarding. After a few years of running the business, Mike Mo encountered an injury and stepped in to run Glassy full time with Vince. In this interview, we go through the process of transitioning from a pro-skateboarder to entrepreneur. Blake Ricciardi is the founder of the apparel brand Popular Demand and ZZZ Natural, a Cannabis sleep aide brand. Danny Duncan started off helping skateboarders stretch out and found his passion in making funny...crazy Youtube videos. Now he's got 2 Million subscribers on Youtube and a cult following. Kevion Stirdivant is the founder of Kase Real Estate Group who has appeared on the top 100 of the Wall Street Journals real estate agents for the past 2 years. Kase has taken a different approach, working with their agents to create amazing people through personal development. Kevion’s story is inspiring, overcoming addiction, and utilizing vision boards, personal development and discipline to design the job of his dreams, from skate to real estate as he says it. Taylor John Smith is an actor who starred in HBO’s new mini series Sharp Objects with Amy Adams, Hunter Killer with Gerard Butler, and just finished filming for the Outpost with Orlando Bloom. Taylor joins us to discuss making it as an actor. Barton Damer keeps coming up over and over probably because of how he scaled his business from a one man show to a 9 person agency. We had him on a while back and wanted to have him on again to discuss the specifics of what he charges and Value Based Pricing. Greg Mountain went from prison to turning his life around, as a national cross fit competitor and gym owner. Paul Rodriguez gives his thoughts on Skill vs Talent in this conversation, turned debate with Mikey Taylor, Louisa Nicola and Eric Bork. In this episode of The AVNI Interviews, Mikey Taylor is interviewed by Eric Bork about Mikey's practical beliefs about money that led him to be a millionaire. Design YOUR dream life. It’s what you want, not the jets and the rented luxury cars. In this episode we go over how to design the life you want, not the life that everyone is telling you that you should design. Omar Elattar is the creator and host of “The Passionate Few,” a show featuring iconic guests like Grant Cardone and Ed Mylett. Omar breaks down high net worth networking. This week we introduce our online academy: Tech Works Agency Academy, and we talk about working a side hustle that can lead to what you want to really do if you're not already doing it. Bedros Keuilian is the founder of Fit Body Bootcamp, an international physical training franchise with over 700 locations. As an immigrant from Armenia, Bedros grew up extremely poor, before becoming a physical trainer. While training wealthy clients, he decided to open his own gym for physical trainers and his client became one of his early business partners. His one location grew to 5, and today 700+. Bedros is one of the most sought after people in the physical training space. This weeks guest is professional skateboarder Neen Williams. While overcoming a major knee injury, Neen grew a love for cooking and wellness, which in turned developed into deals with brands like Whole Foods and Vega. This week's show on the AVNI interviews is about how to find your own thing. In this Episode we (Eric Bork & Mikey Taylor) go over 7 specific things people can do to figure out what they want to do in life. We hope you enjoy and find value in it. Danny Morel is a real estate icon, who owns many different companies such as Intero, M.Pire, Relentless and is the author of The Resilience Road Map. Danny started his first real estate business at the age of 18 with the goal to buy his mother and brother a home. He not only accomplished a goal, but built Intero into what it is today, training real estate agents into amazing “humans.” Tune in for amazing insights into business, mind set and life direction. Jesse Kay is a teenage entrepreneur who made 2k a month online at 9 years old and now runs a social media agency called Viral AF, where consults for people such as Paul Rodriguez and Madison Square Garden. Chris Chann is a youtuber / content creator and skateboarder. Chris began his career posting trick challenges at the skate park near his parents home, and grew into creating entertaining content along with his skateboarding content. Chris has paved the path for his own career, selling merch, doing deals with Adidas and sits at just under a million subscribers on Youtube at the time of this interview. How to quit your job with AVNI co-founders Eric Bork & Mikey Taylor. Eric is a former pro-skateboarder who worked in corporate America before deciding to take the leap and go out on his own. Mikey is a former pro-skateboarder, co-founder of St. Archer Beer, which was acquired by Miller Coors in 2015, and the president of Commune Capital. In this episode, they discuss how use leverage to do what you want to do for your career. Louisa Nicola is the founder of Neuro Athletics, which focusses on performance of the brain using brain scans and brain body training. A former world class tri-athlete, Luisa was struck by a truck on her way to Bejing and told she would never run again. Using what should could control, her mind/brain, she fully recovered as a triathlete and now helps other athletes overcome obstacles. Matt Coulter Co-Founded and operated a Global Cancer Nonprofit for 10 years before starting a platform to help multiple other people start nonprofits, the first being The BeYoutiful Foundation. Josh Landan is the co-founder of St. Archer Beer, which was acquired by Miller Coors in 2015, and now the founder of Villager Goods, Cocount Water and other drinks and food products. Josh Started as a surf film maker, for which he won multiple awards, before emarking on his career of managing athletes. In this episode, Josh describes the process of making the leap from film and management into co-founding and raising over 20 million to date. Barton Damer goes over how he went from being a one man show to a 3D motion agency with over 10 employees. Ben Ricciardi is the Founder of Times 10, a full service agency in Burbank, CA who does amazing work for clients like Adidas. Randall Pich is the CEO and Founder - A fitness lifestyle based clothing brand. Randall is a self-taught online retail expert who started creating Shirts for his physical training clients with the slogan "Live Fit." After deciding to launch the slogan as a brand of it's own, LVFT did over 1 million in sales year 1. Check out Randall's story for insights on entrepreneurship, what he did and did not do in his early brands, and a good look at the online vs retail landscape. George Gankas is disrupting the golf space by brining a new, more athletic swing to the game and attracting thousands of people online with his personality and social media. On this episode of The AVNI Interviews, Eric Bork interviews his co-host Mikey Taylor about transitioning from Pro Skateboarding to starting Commune Capital. Here on The AVNI Interviews Eric Bork and Mikey Taylor interview people doing the work they want in the lifestyle they love to help other people do the same thing. We sit down with Rachel Metz in this episode to discuss making a career in DIY and her love for power tools as well as the business behind it. Drama came by the Podcast Chamber to give us a rundown on transitioning from Reality TV Star to Successful entrepreneur. Attach is our first interview and the 2015 Call of Duty world champion. Listen to hear about the world of professional gaming.